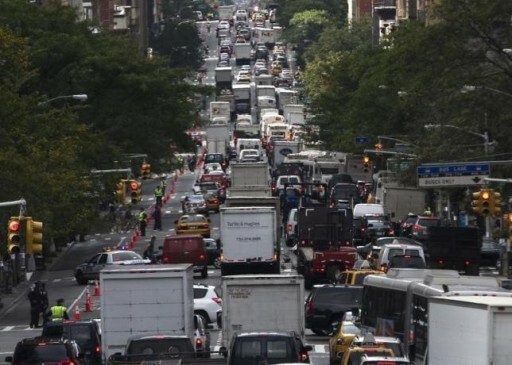 San Antonio, TX - A strong economy and cheap gas have put more motorists on U.S. roads, leading to the worst-ever traffic congestion and forcing the average urban commuter to waste about 42 hours a year stuck in traffic jams, a report released on Wednesday said. “The higher congestion levels are clearly the downside of increased economic activity,” said Bill Eisele, senior researcher for the TTI, which put together the annual Urban Mobility Scorecard along with traffic tracking company INRIX. TTI is part of Texas A&M University. “Congestion is mirroring the national trend,” he said. Six of the country’s 10 most congested stretches of highway are in metro Los Angeles, with two each in Chicago and New York City. The “worst” highway in the country is US 101 in the San Fernando Valley area of Los Angeles. “Our growing traffic problem is too massive for any one entity to handle,” Lomax said.